The North Korean ICBM system is now able to fire at “random regions and locations at random times” with the “entire” US mainland within its range, according to the latest statement by North Korean leader Kim Jong-un. He spoke shortly after the second flight test of yet another long-range missile, the Hwasong-14. Kim said that the latest launch confirmed that the missile system is reliable, and is able to fire at “random regions and locations at random times,” with the “entire” US mainland now within range. The North Korean leader went on with a “serious warning” to the US, which has been “meaninglessly blowing its trumpet” in threatening Pyongyang. 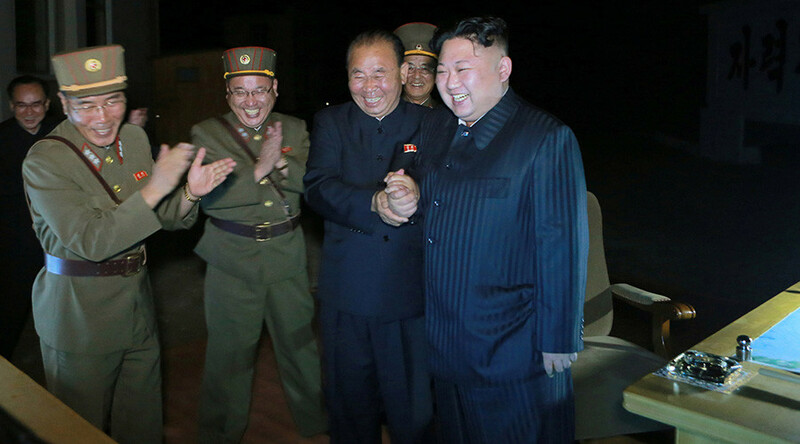 The missile reportedly flew for 45 minutes, reached up to 3,725 kilometers in height, and travelled 998 kilometers, landing in Japanese waters, according to AP. The Russian military described the weapon as an intermediate-range ballistic missile (IRBM), citing data from its missile warning system, adding that it flew for 732 kilometers, while the US and South Korea said it was an intercontinental ballistic missile (ICBM). While IRBMs have ranges between 3,000 and 5,500 kilometers, known ICBMs can fly out 10,000km or more. 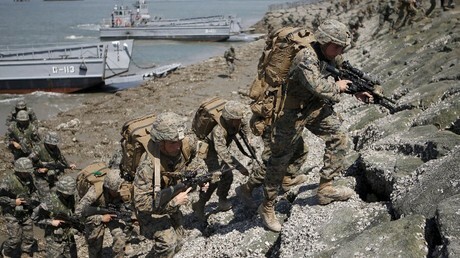 Following the launch, the US and South Korea carried out live fire drills. The two countries also pondered their “military options” in response to the test, and Seoul requested additional missile defense units from Washington.